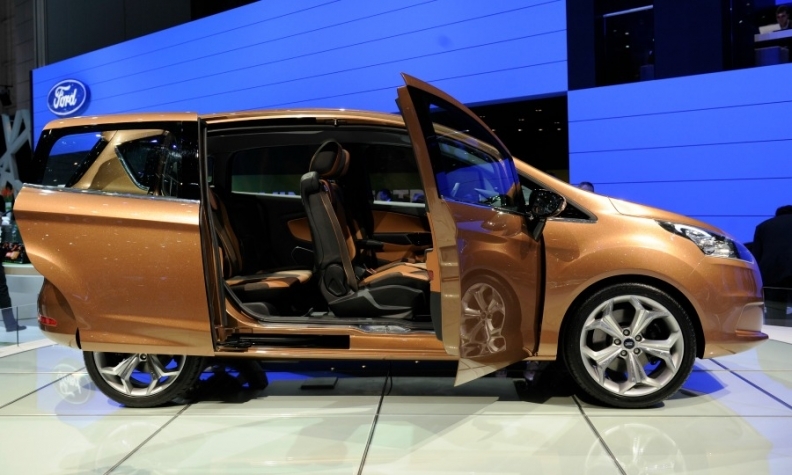 The B-Max has no B pillar to improve rear access, but sales of the minivan have been slow. BUCHAREST (Reuters) -- Ford Motor will lay off about 680 people at its Romanian division next year, or some 20 percent of the staff, as it adjusts to a weak European market. Ford took over struggling Romanian carmaker Automobile Craiova in 2008 and started producing its B-Max minivan there two years ago. However, the B-Max went on sale as customers increasingly began to buy small crossovers instead of minivans. Low demand has led to regular production stoppages each month for more than a year. The lay offs are intended "to best utilize the remaining workforce at Craiova and to meet current and expected future production requirements," Ford Romania said in a statement Wednesday. Ford said it is seeking opportunities to source a second vehicle in Craiova. In the first nine months, European sales of the B-Max fell 21 percent to 43,749, according to JATO Dynamics. Ford said it will seek voluntary lay offs at Craiova's car and engine plants.